Justin Bieber has shown off his ridiculously amazing dance skills at a Mexico concert by shuffling! Justin shuffled to Afrojack and Eva Simons' song 'Take Over Control', and the crowd went wild. Shuffling has been made popular lately thanks to dance duo LMFAO and their song 'Party Rock Anthem'. And Justin was definitely inspired by the LMFAO boys! Justin wrote on Facebook, "Gonna go hard tonight in MEXICO CITY!! BRAZIL is NEXT!! Everyday Im SHUFFLIN! " 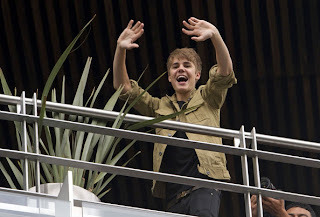 We are so happy that Justin is on tour again -- we wish we were there! Justin Bieber might have less ‘swagger’ in future after it was announced that his ‘swagger coach’ would be leaving the tour. Ryan Good apparently wants to pursue his dreams, prompting an outpouring on Twitter among Bieberites for whom dressing Justin Bieber would be the ultimate way of spending time. 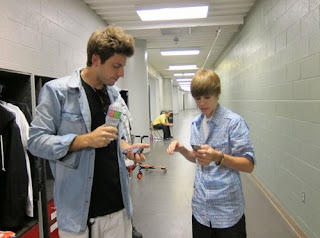 Florida-born Ryan Good previously worked as an assistant to Usher but in recent years has become indelibly linked with Bieber. 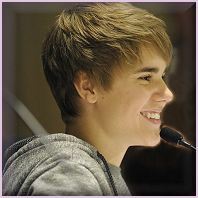 And Bieber’s style has been a big part of the singer’s success. Good even managed to help him successfully make the transition from his trademark ‘old’ haircut to his newer look. It’s not clear what Ryan Good’s ‘dream’ is, but don’t expect Justin Bieber’s ‘swagger’ to just collapse overnight, although it might change a little. And Ryan Good will undoubtedly be in demand because, whatever you think about the ‘swagger industry’, he has shown himself to be one of the best around. Justin Bieber took the summer off to record new music for his forthcoming Christmas album, Under The Mistletoe (and traipse around town with his girlfriend, Selena Gomez), but the Biebs’ world consists of touring again. The 17-year-old pop sensation brought his uber-successful My World tour to Mexico over the weekend, beginning with a sold-out show at the Foro Sol Complex. Before making the Mexican Beliebers swoon until it hurt at the concert, Bieber met with press for a photo op where he received platinum and gold plaques for his chart-topping albums and singles, and did a little promo for Under The Mistletoe, out on November 1. The festive season may still be a few months away – but it’s time to join Justin Bieber and get into the Xmas spirit early! And like the true young gentlemen he is – kind hearted Biebs thought it was only fair to take his beloved fans behind-the-scenes with him! “Video shoot today for Christmas album. #mistletoe,” before tweeting a snap of him with Santa Claus with the caption, "Doing the #dougie with santa. #real. haha. #mistletoe." And while JB lovers everywhere are getting pretty stoked for his new tracks – they certainly aren’t the only ones. "Getting incredible reports from the @justinbieber #mistletoe video ... seems like this is going to be a big song and a big video. #superstar." "4am and we're still out here putting in work!” he tweeted from the set. “This video is going to be magical! @justinbieber is killin it! #mistletoe." Pop superstar Justin Bieber made one young fan's dreams come true on Saturday night (01Oct11) by inviting her backstage before his concert in Mexico, following an online hunt to find the girl. The Baby hitmaker announced earlier this year (11) that his tour would call at the Foro Sol stadium in Mexico City, but many devotees were left devastated when the shows sold out. One girl dropped to the floor and began crying hysterically after hearing the news, and the footage became an internet sensation, prompting Bieber to launch a search for the unidentified fan. 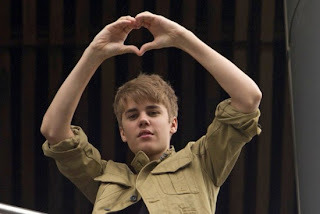 His Twitter.com followers rallied to find her last week (begs26Sep11), and Bieber announced on Friday (30Sep11), "Oh yeah... We Found Her. ilovemyfans - thanks to all of u 4 helping. My fans r incredible because they not only care for me but each other. we are a family. muchlove." The pop star arranged a meeting with the girl, and later updated his fans by adding, "I just met a very special fan... thanks to the help of all of u. dreamBig and Never Say Never. She said 'things like this dont happen to people like me'... yes they do." What do you think of Boyfriend? Which of Justin's music collaborations do you like best? Beliebers United / Webmaster: Evelien / Since: 2011 / Copyright designed graphics: Beliebers United. Powered by Blogger.